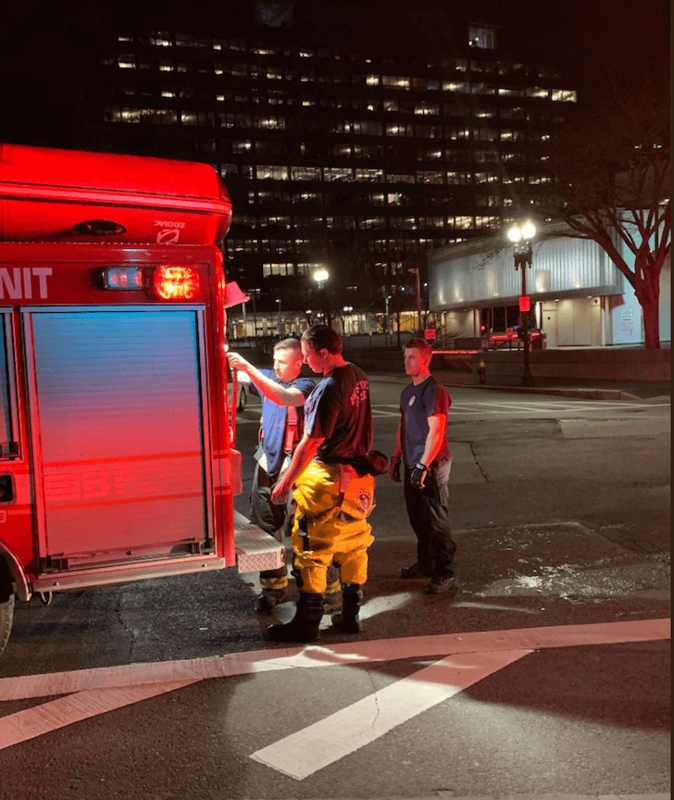 BFD responded to a call for a person in the water in Fort Point Channel around 11pm on Saturday night. A man was found clinging to a pylon in the water. Firefighters entered the water in survival suits, threw a safety ring to the man and pulled him from the water. The victim was transported to an area hospital. It is not clear how the man ended up in the water or how long he was there.